Latex foam is the fastest growing sector in the bedding industry today. Why the sudden popularity? People are starting to rediscover latex foam’s health and comfort benefits. All of the latex foam mattresses available at Brickell Mattress are manufactured by Select Foam™ right here in the USA. 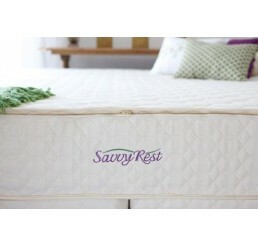 It offers better support, yet still creates an extremely soft and inviting sleep surface. Latex foam is made from the rubber tree and is manufactured in two different processes: Dunlop and Talalay. The Talalay process is the more modern method where rubber is poured into a mold and then “flash frozen” so that all the particles are held in place. Talalay latex provides more consistency of comfort than Dunlop latex (i.e. you can find softer or harder “spots” in Dunlop latex). 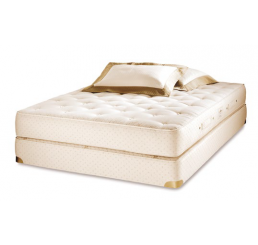 Talalay latex is the only latex you’ll find in Select Foam’s mattresses sold at Brickell Mattress. 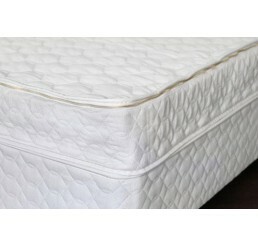 This latex mattress is our rmer latex version. The 7-Zone Talalay latex core is surrounded by staple cotton padding, and is hand tufted to secure the cotton in place to provide rmer support. The breathable cotton covering combined with the inner materials provide optimal ventilation. Optional pillowtop pads available to add plushness.